The bearings in technical systems in a maritime environment are usually quite a challenge. The harsh operating conditions often place demand on the bearing system's eiciency many times over. A maintenance-free plain bearing with minimal efort required to seal it is best suited in installation locations which are hard to reach. In order to eliminate the risk of water contamination, dry-running or media-onlylubricated bearings are permissible. Plain bearings it these broad-ranging loads best. 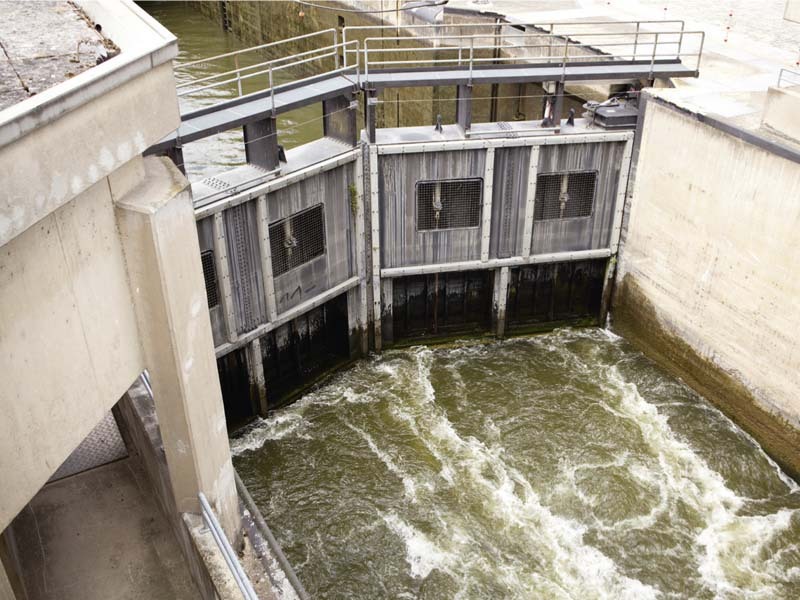 Regardless of salt or fresh water, ofshore or in hydroelectric plants. KS PERMAGLIDE® plain bearings can be used wherever there is need for a reliable and robust bearing. Although the corrosion resistance of metal-plastic composite bearings must be classiied as lower than plastic plain bearings, KS Gleitlager uses two types of material speciically developed for outside use. The materials KS PERMAGLIDE® P11 and KS PERMAGLIDE® P147 feature corrosion resistance igures better than the classic metal-polymer plain bearing materials based on PTFE available from the competition. 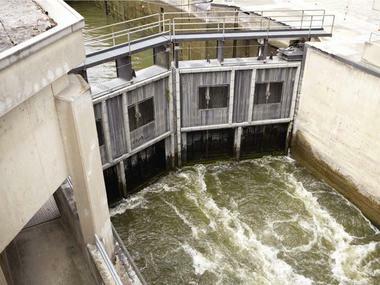 Large gates on locks or dams stand firm against the water pressure. Heavy link chains are used to move the gates. The piston pin bed in every link is itted with a KS PERMAGLIDE® P11 bush. The pins are hard-chrome plated and inely polished, so that extremely high compression forces in the tensile direction with peaks of 320 N/mm2. Any arising axial forces are absorbed by 2 axial discs per chain link made of KS PERMAGLIDE® P11. A rubber seal protects the bush from coarse contamination. 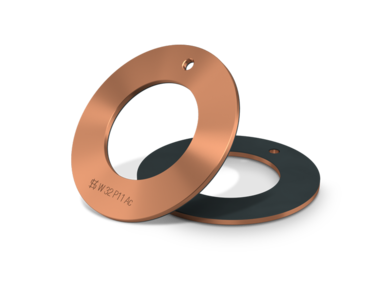 The material with bronze backing and embedded solid lubricant is corrosion-resistant and maintenance-free. Maintenance work must be carried out on the chain only after 16 years due to the worn gaskets. 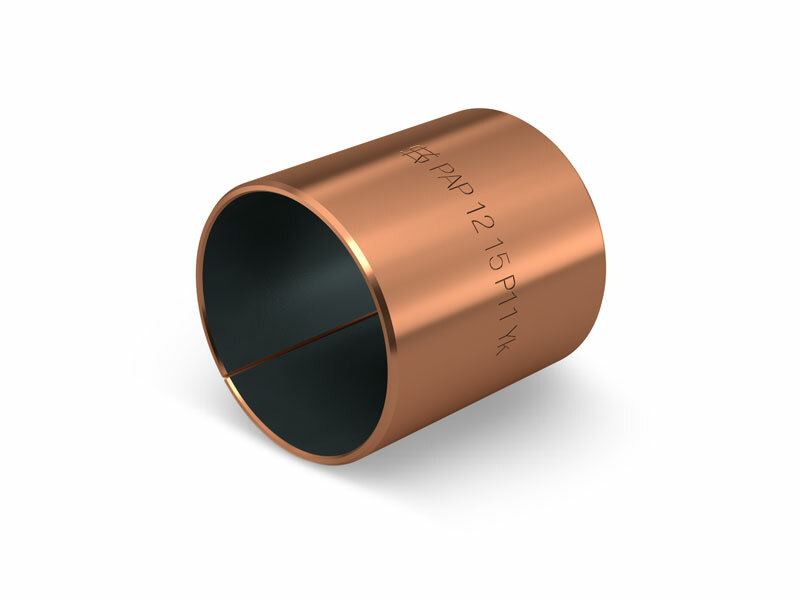 P147 is a multi-layer composite system with a sliding layer made of tin-bismuth bronze. The back of the steel bearing is galvanised, transparently passivated and coated with a layer thickness of 0.012 mm. The solid lubricant consists of a PTFE compound speciically for outdoor use. KS PERMAGLIDE® P147 complies with the salt spray test in accordance with DIN 50021 and has stood the test of time a million times over in automotive applications. The material KS PERMAGLIDE® P11 contains a full-bronze back with a sliding layer made of porous sintered bronze. The solid lubricant used is a PTFE/lead compound. 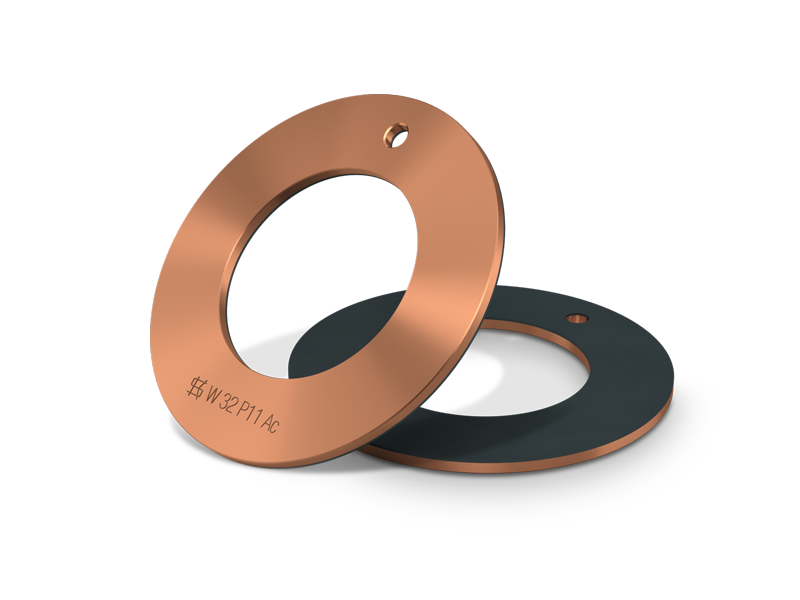 The bronze alloy containing phosphorous also improves the corrosion resistance as well as the thermal, mechanical and tribological properties. These are so-called wrought alloys that are resistant to stress crack corrosion and pitting corrosion-type attacks. They also ofer good resistance to sea water. KS PERMAGLIDE® materials have extremely low absorption properties and therefore do not tend towards swelling.